Sri Aurobindo Day College Cut-Off 2018: 2nd Cut off Resleased! 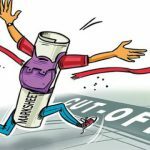 Shyam Lal College (Evening) Cut Off 2018: Second Cut off Released! Indraprastha College for Women Cut Off 2018: DU 2nd Cut Off Released !